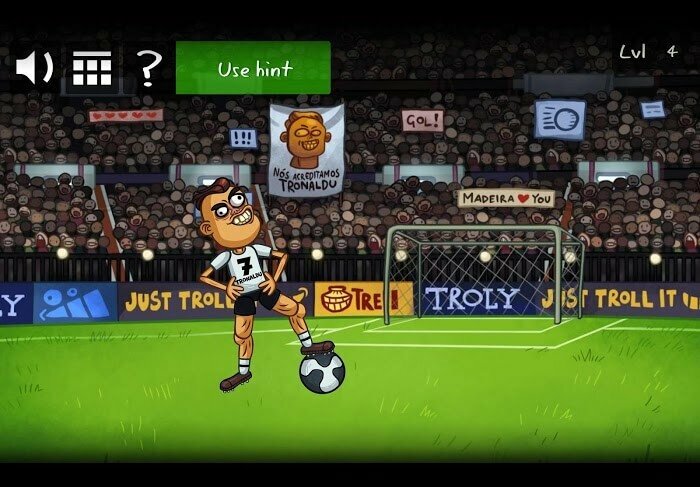 Troll Face Quest USA Adventure – Puzzle games are now on the market very much and are popular with audiences because it does not require too much skill and slow pace suitable for many ages. You can easily see a puzzle game right on television, in newspapers and today the most popular mobile games. We can enjoy it everywhere, with vast and free content. The amount of knowledge you get through them will undoubtedly be very much, satisfying your need for exploration and entertainment. But most of them are severe games with clear questions and accurate answers. Sometimes, if the knowledge is too difficult, it will be boring, and an inevitable consequence is that the player will delete the game if he does not have enough patience. So you’re ready to experience a puzzle game with “not serious” questions and bring one of the coolest entertainment hours. In fact, the Troll Face Quest series has been top-rated all over the world with their questions. It does not give a boring feeling but challenges players with fast paces, and requires extremely sharp observation and reasoning skills because the questions of this game do not seem so accurate with knowledge, like trying to tease players. Sometimes, you feel like you’re a “potato head”. 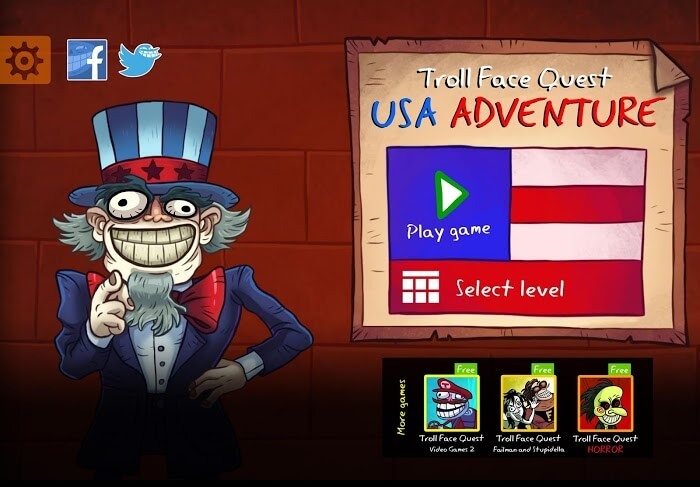 Troll Face Quest Adventure USA recently released less than a week but has received the attention of numerous players. It is like the previous games in the series, but this time its theme will focus on the United States. The game will challenge your brain limit and turn your face into LOL. In fact, it is equally tricky that puzzle games of the same genre are even more difficult but will make you smile more. Boring historical stories become fun things through many of America’s most legendary stories. 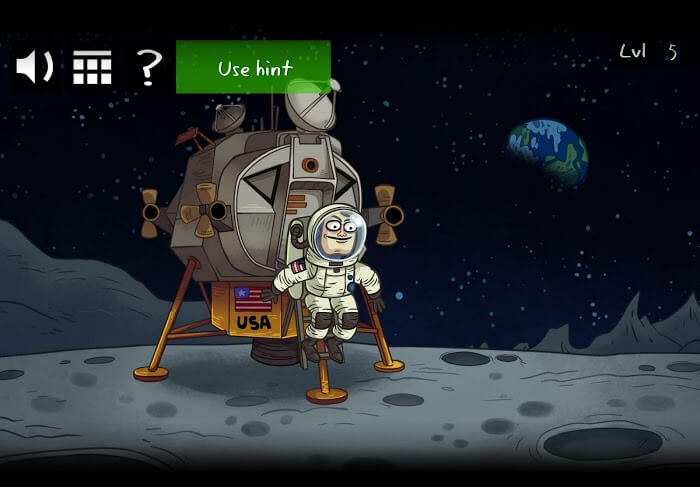 An impossible history test in class becomes more fun and crazy in this game. This is the time for you to participate in the adventure, but the game maker has arranged a lot of tricks and jokes to trap you into it. At this time, players need to use their top-notch detective skills to avoid scams; there are many answers that seem extremely true but have a foolish detail. 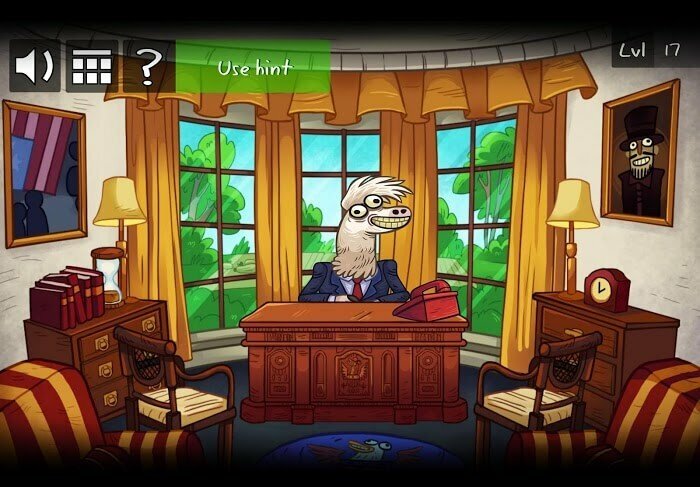 Besides, Troll Face Quest USA Adventure contains jokes about the US president as well as the famous superheroes on television. As always there are funny jokes about the ridicule games that the game poses. Other sports topics such as boxing football boxing and more like Hollywood movies are full of legendary stories from history to modern. But be assured It is not a boring historical test with the form of student quiz. Watch out for being cheated. The questions in this game really do not follow logic at all and force you to perform crazy tasks. You can also connect with your friends to challenge them and newcomers on the internet. Compete with each other on the rankings. If you come to a place without wifi, you can still experience the game freely because the data warehouse has been fully updated.